A subpoena is the basic tool used in the judicial system to ensure a witness in a criminal (or civil case) appears to testify during a trial or other type of court proceedings. A subpoena typically is issued by the clerk of the court at the request of the party to a case (the prosecuting and defense attorneys, for example) or the judge herself. Although great care is taken to secure an original subpoena to be served on a witness, there are occasions where this type of court document is lost. 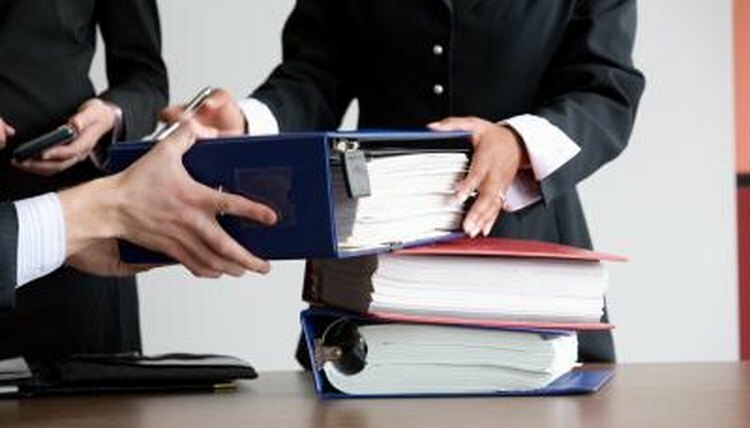 There is a procedure through which you obtain copies of lost subpoenas. Go in person to the court clerk's office. Although a good deal of court business is transacted by phone or over the Internet, obtaining a replacement for or copy of a lost subpoena needs to be done in person. Advise an assistant clerk on duty in the clerk's office of the lost subpoena. Provide the assistant clerk with the case number as well as the name of the person subpoenaed. Request a copy of the lost subpoena or a replacement. Confirm that the copy of lost subpoena is duly certified by the clerk's office. A certified copy is one that is authenticated by the clerk of the court as being a true and correct copy of original. A merely duplicated copy is not sufficient to replace a lost subpoena. Obtain the appropriately certified replace or copied subpoena to be served on the witness. Broemmel, Mike. "How to Get Copies of Lost Subpoenas." , https://legalbeagle.com/5850073-copies-lost-subpoenas.html. Accessed 19 April 2019.